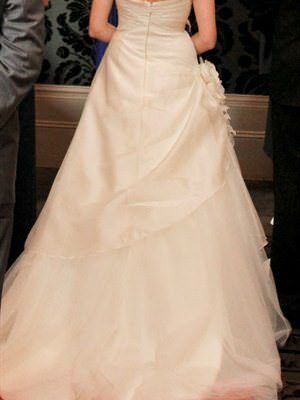 A Gazar organza, strapless gown with sweetheart neck line. It has a draped front skirt and flower detailing.<br><br>A stunning dress, worn only once. 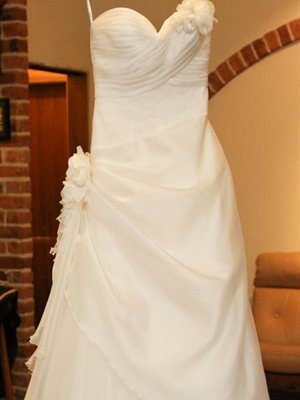 It has been dry cleaned and is ready to make someone's wedding day magical.